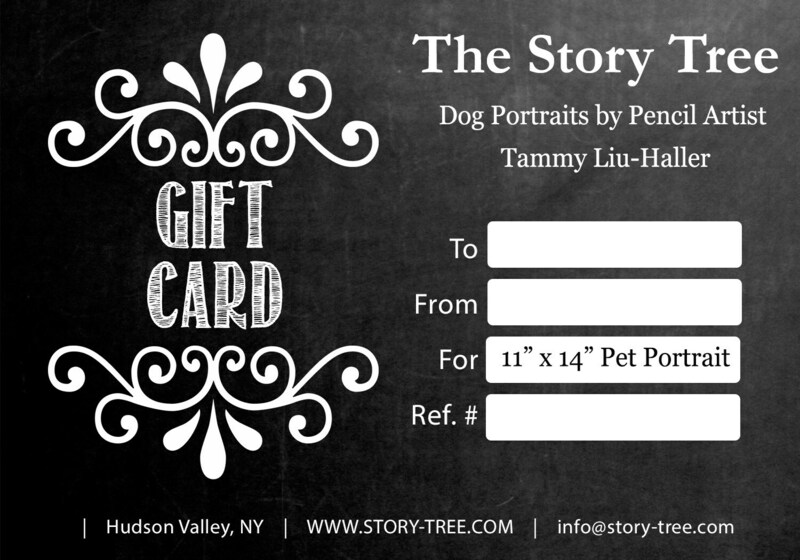 Digital Gift Card~ 11 x 14 Custom Dog Portrait~ DOWNLOAD NOW! 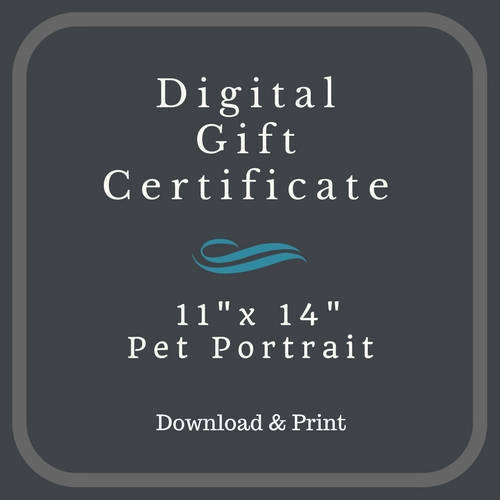 Digital Gift Card~ 11" x 14" Custom Dog Portrait~ DOWNLOAD NOW! 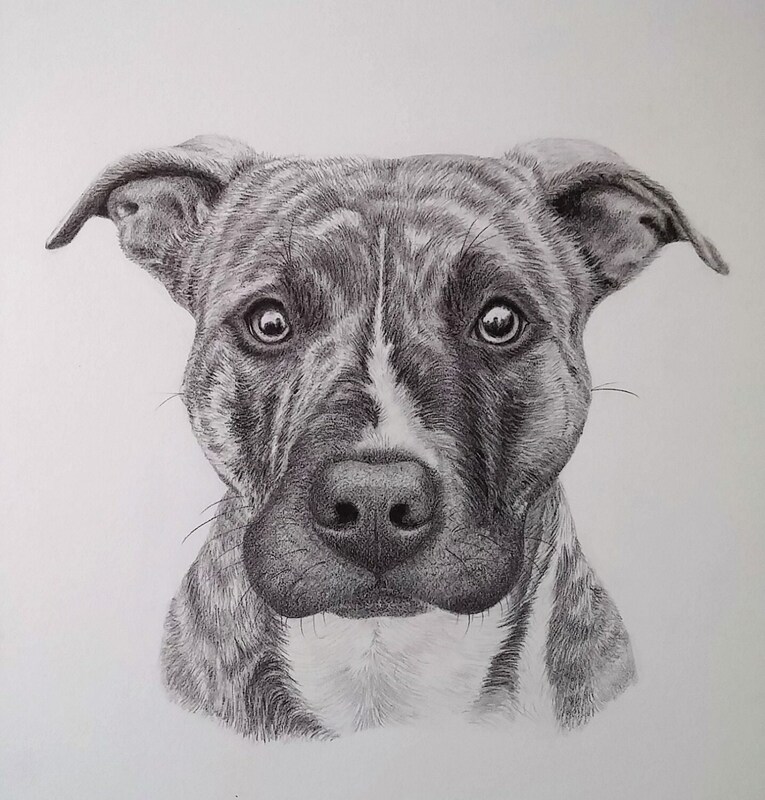 Created in the realistic style shown with graphite pencil on Strathmore Bristol paper. *This includes ONE dog. 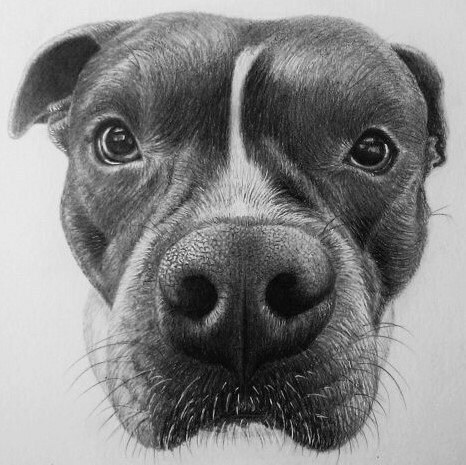 For additional dogs (for portraits size 9 x 12 and larger), the cost is $25 per pet. 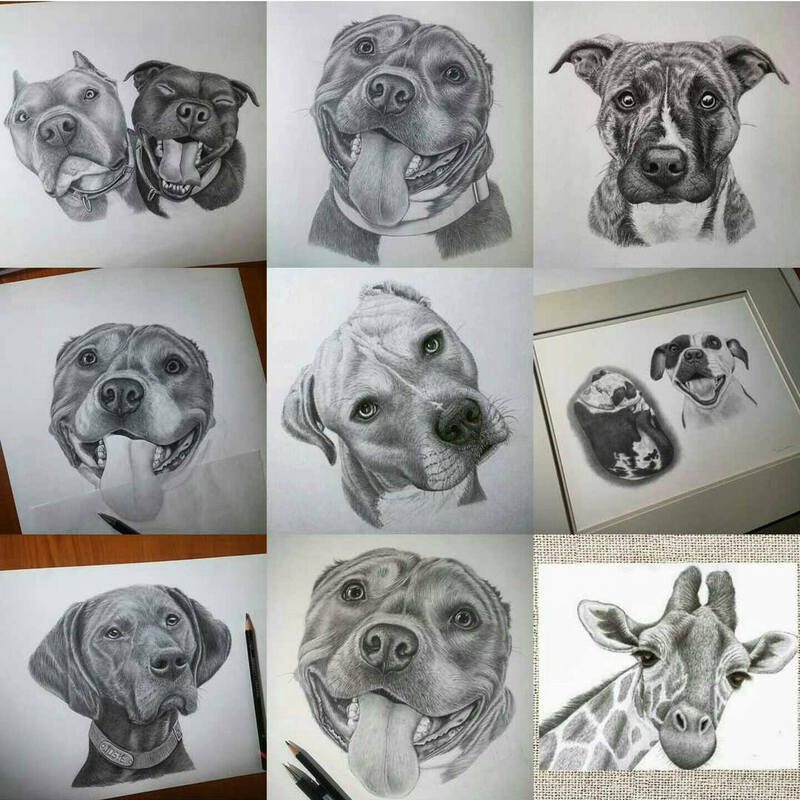 Once you have added your gift certificate to the cart you may find the "Additional Pet" item under the "Hand-Drawn Dog Portrait" Listing. The artwork will be spray-fixed to prevent smudging and will arrive in a protective sleeve. The price includes shipping of the completed portrait for your gift recipient (US & Canada only). I will ship via 2-3 Day Priority Mail within the US and a comparable option for Canada. If your gift recipient is outside of the US, please contact me for a shipping quote. Gift Certificates with framing also available. Any questions, send them along. I am usually able to respond quickly to you message. Once payment is received you can download a printable file. Be sure to print your order number in the Ref # area on the gift card. Your gift recipient can refer to that when contacting me to start their portrait.